See Rock’s Best Songs Performed in Branson by the Genre’s Most Talented Artists! Echoing the star-studded performances of its counterpart in Las Vegas, Nevada, Raiding the Rock Vault is a show that you’ll have to see to believe! Covering classic power anthems and soulful ballads from the likes of Queen, Jimi Hendrix, The Who, Journey, Van Halen, and other legends of rock, this spectacular show highlights the talents of an impressive “super band” consisting of a motley crew of guitarists, bassists, drummers, and singers. Guitarists from Heart, Bad Company, Whitesnake, REO Speedwagon, HELLYEAH, Guns N’ Roses, and Dio come together with bassists from Bon Jovi, Ted Nugent, and Ozzy Osbourne. Drummers from Huricane, Asia, and Slaughter pair with the vocal wonders of Quiet Riot, The Offspring, Meat Loaf, and Sin City Heat. It’s truly a feast for the ears! Raiding the Rock Vault will be a nightly occurrence throughout the entirety of July 2017. Each night, there are show times that are scheduled for 7:30pm at The Starlite Theatre for this unbelievable and unforgettable rock performance. Many shows have already sold out, so you’ll want to jump on these tickets early! 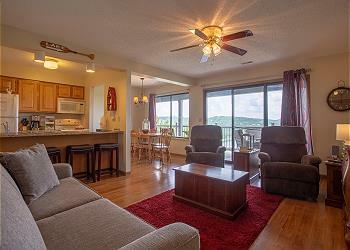 Your Branson Adventure Begins with Sunset Nightly Rentals! Contact our reservations team to find out more information about Raiding the Rock Vault and other fantastic events, activities, and attractions that are waiting for you in Branson when you reserve your stay in one of the high-end vacation rental properties that are available today through Sunset Nightly Rentals!